We are always looking for skilled technicians to add to our service department. As a technician, you will service, diagnose, and repair both new and used RVs. 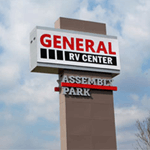 General RV technicians do not service the chassis or engines, only interior, exterior, electrical, HVAC, and plumbing systems. 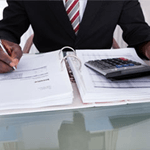 There are three distinct positions as a Technician that each require a different set of skills. Prior technical experience such as electrical, plumbing, HVAC, welding, and carpentry is desired. Service Writers play an integral role in the success of our service department. A Service Writer initiates RV services and repairs by verifying warranty and service contract coverage; developing service estimates; preparing repair orders; and provides customers service. Service Writers must listen to the customers description of issues and determine the best solution. Detailers are responsible for cleaning, inspecting, and ensuring each new and used RV meets the company standard of quality detailing. Lot Relocation Specialists are responsible for moving millions of dollars of inventory throughout the dealership lot in a safe and effective manner. Not sure what position best fits you? Submit your application and it will be reviewed by a General RV representative.